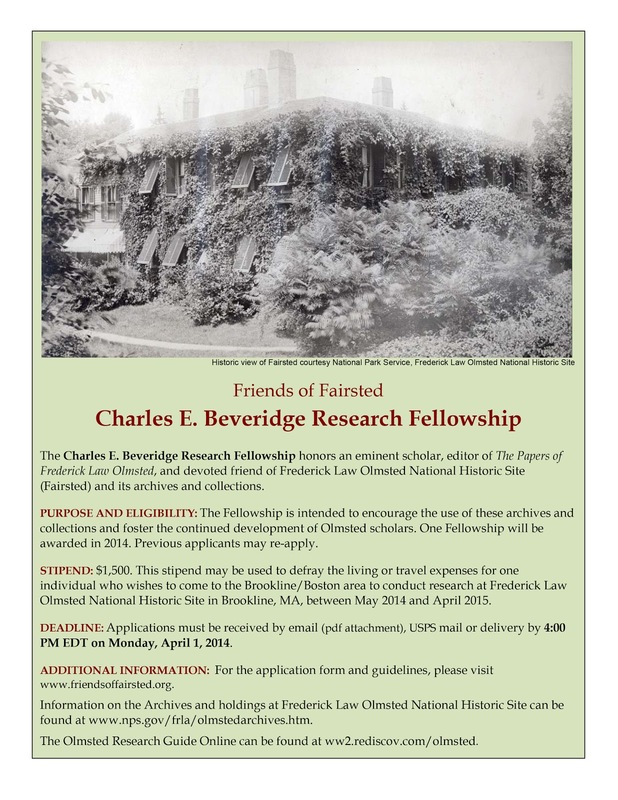 The Charles E. Beveridge Research Fellowship honors an eminent scholar, editor of The Papers of Frederick Law Olmsted, and devoted friend of Frederick Law Olmsted National Historic Site (Fairsted) and its archives and collections. PURPOSE AND ELIGIBILITY: The Fellowship is intended to encourage the use of these archives and collections and foster the continued development of Olmsted scholars. One Fellowship will be awarded in 2014. Previous applicants may re-apply. STIPEND: $1,500. 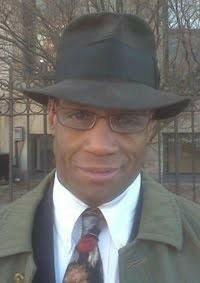 This stipend may be used to defray the living or travel expenses for one individual who wishes to come to the Brookline/Boston area to conduct research at Frederick Law Olmsted National Historic Site in Brookline, MA, between May 2014 and April 2015. 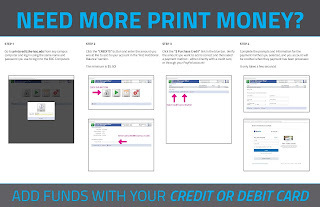 DEADLINE: Applications must be received by email (pdf attachment), USPS mail or delivery by 4:00 PM EDT on Monday, April 1, 2014. ADDITIONAL INFORMATION: For the application form and guidelines, please visit www.friendsoffairsted.org. Information on the Archives and holdings at Frederick Law Olmsted National Historic Site can be found at www.nps.gov/frla/olmstedarchives.htm. The Olmsted Research Guide Online can be found at ww2.rediscov.com/olmsted.